Escrick Extreme is imported from the UK and is a very tall, jet black Shire stallion with four white socks and a blaze. He has great size and substance, which are defining features of the great Shire Horse. 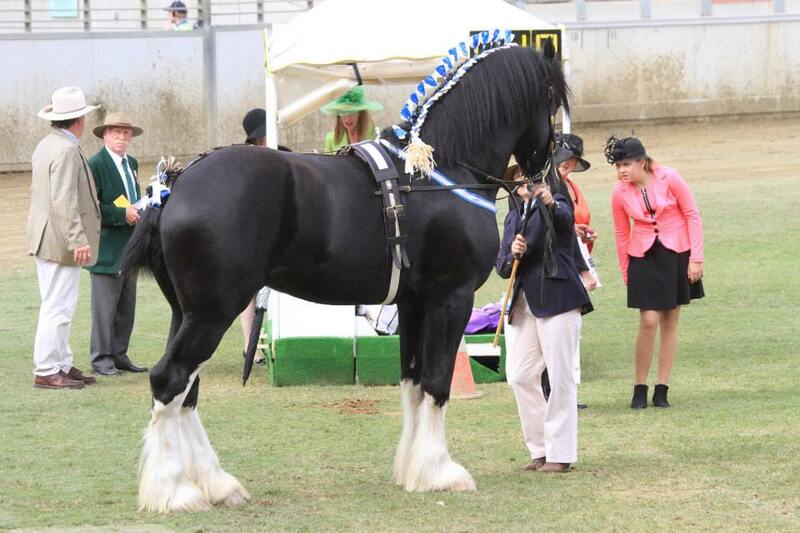 His sire was Champion Stallion at the National Shire Horse Show in the UK. His dam comes from a line of champions. Extreme won his class at Sydney Royal Easter Show as a three year old and also won Reserve Champion Stallion or Colt that year. He has grown much bigger since then. We bought Extreme primarily as a stud stallion for our herd of mares but we do take some outside mares.